This is part III of a three-part profile of Margaret River and Western Australia. Part I told the story or Margaret River’s development and described the region’s geography, grapes and wine styles, as well as profiling its founding estates. Part II profiles more of the region’s top wine estates and assesses over 80 of their wines. Part III is a food, wine and accommodation guide for visitors written by Sarah Ahmed, ‘The Wine Detective’. 12 Station Street, Cottesloe, tel. +61 8 9385 0666. Kate Lamont is one of Western Australia’s best known chefs. 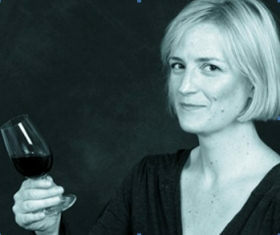 She also happens to be the granddaughter of Jack Mann, the legendary winemaker. In fact, she started out making wine at her family’s winery, Lamonts in the Swan Valley before donning a chef’s hat and opening Western Australia’s first winery restaurant. That was 20 years ago when, she says, “a restaurant without beer was unusual!” She has since rolled out Lamonts eateries in Margaret River, East Perth and, most recently, trendy Perth suburb Cottesloe. 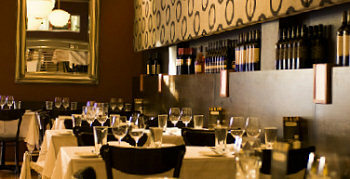 Lamonts Cottesloe is a great find for wine lovers because it’s an enoteca. You can buy a bottle to take away or pay a mark up of $18.50 (as at September 2009) and enjoy it with an extensive “small tastes” menu based on local, seasonal produce (Exmouth prawns and asparagus when I visited). What’s more, irrespective of price, every wine from the impressive Australian and international range is available by the glass. Lamonts run a comprehensive tasting programme, with “Wine & food conversations” running from April to October. Open Daily from noon until 11pm. Highgate, 519 Beaufort St Highgate, tel. +61 8 9328 8255. Located on buzzy Beaufort Street this is one of Perth’s best wine bars with a bistro serving chef patron Russell Blaikie’s inspired locally-sourced, seasonal dishes (very much a WA theme). Kick off in style in the Chinese lacquer box-like Champagne Lounge upstairs, which lists around 40 Champagnes. Five Champagnes, housed in a hollowed out block of ice, come by the flute. Downstairs you can mix and match excellent and generously-sized dishes like steamed Marshalls Torbay asparagus with “Over the Moon” organic feta and macademia crumble, Roquefort souffle with chives and Angel Hair Pasta tossed with Blue Manna Crab. Must’s co-owner, Garry Gosatti, drives the much-lauded 500 bin wine list which recently won the Gourmet Traveller Australian Best Wine Bar Wine List of the Year Awards 2009. Check out the website for seasonal food and wine matching events. Open daily from noon until midnight. 99 Adelaide Terrace, tel. +61 8 9225 1234. Inevitably, this member of the global Hyatt chain has a corporate feel but it’s one of Perth’s few five star hotels and has the facilities to match. If you visit at the end of October, it’s worth knowing that they host a tasting of the Qantas Wine Show of Western Australia’s Top 50 medal-winning wines and the show’s Awards dinner, tickets for both of which are available to the public. Stevens Rd, Margaret River, tel. +61 8 9759 0000. 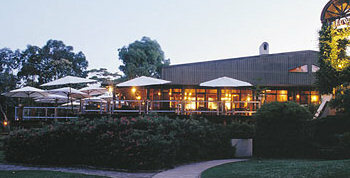 Another iconic winery, with a stand out restaurant; also a renowned concert venue. It’s worth asking for a table outside on the balcony overlooking the garden. When I first visited with sommeliers and a wine buyer for Michelin starred establishments, we were blown away by the freshness of the fish and local marron (freshwater crayfish), a speciality. This time, I went richer and creamier, opting for a sumptuous Shark Bay crab soufflé and warming Augusta Dhufish, scallop and mussel chowder. The wine list offers current and older vintages, which is great news for lovers of Leeuwin Estate’s famously ageworthy Art Series Chardonnay. Open daily for lunch and (unusually for a winery venue) on Saturday evenings. 287 Burnside Road, Margaret River, tel. +61 8 9757 2139. This biodynamic farm and vineyard (good Zinfandel) has four rammed earth and limestone bungalows to let. It’s located on a quiet road off the Bussell Highway leading into Margaret River Town to which you can cycle (Burnside hire out bikes) or walk on trails through the surrounding Bramley National Park. You can buy a tasty breakfast basket with fresh homemade bread, jam and produce from the farm; guests can also help themselves to fruit and vegetables from the vegetable patch and orchard. A fun farm stay if you have children in tow. 114 Bussell Highway, tel. +61 8 9757 2398. With its TAB betting station and throng of locals, the front bar of this traditional tavern on Margaret River’s main drag could be intimidating. Just remember this is chi chi Margaret River, head straight for the bistro at the back and you’ll find plenty to reassure you on the +250 bin wine list. It was voted Gourmet Traveller’s Best Pub Restaurant List in Australia, 2009 and hosts Karen and Rob Gough are wine nuts, so it’s an interesting list at that. The food also rises to the occasion – everything is made in the kitchen, preservative-free and your surf and turf is as fresh as a daisy: oysters and fish are shucked and filleted to order and steak is of the local wagyu variety. Also a live music venue and wifi hotspot. Bistro (all-day menu) open daily 12 noon – 8.30pm. 114 Bussell Highway, tel. +61 08 9758 8877. The more sedate sister-restaurant of Must Wine Bar Highgate opened in 2009 and, while its menu is similar, the Margaret River venue has two aces up its sleeve. Food-wise, it’s famous for its locally sourced, dry-aged Butterfield beef. Local farm boy and The Dorchester-trained chef-patron Russell Blaikie says “I simply wanted to eat meat like I enjoyed when I was a kid.” Blaikie is also well-known for producing his own charcuterie for which he has won the national championship for 9 years. As for wine, Garry Gossati, has created a unique 500 bin list, about half of which comprises the most comprehensive listing of Margaret River wines you’ll ever find. Gossati invited every producer within the Margaret River GI to submit a wine, so lots of hidden gems here, as well as a separate Top 50 selection of famous names. Indulge yourself and stay closer than staggering distance in one of Must’s suites, above the restaurant. Open daily from noon until midnight. located off the South Western Highway, tel. +61 8 9773 1002. This is a new, designer boutique hotel surrounded by the towering karri and jarrah trees for which this wine region, just south of Margaret River, is famous. With six large, super stylish and comfortable suites, this is a high-end offering. The aim is to keep it small and intimate, focused on personal service from chef/manager Xavier Poupel whose cuisine is fairly classic/conservative rather than showy. The hotel is located not a million miles from The Wine & Truffle Company in neighbouring Manjimup (well worth visiting – see www.wineandtruffle.com.au), with whom Stonebarn offer gourmet truffle weekends, at least until their own truffiere bears fruit. NB When I visited, guests were encouraged to BYO as Stonebarn had not yet been granted a liquor licence. 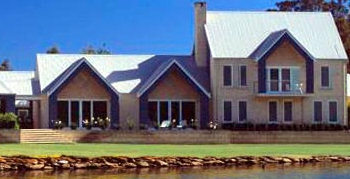 www.stonebarn.com.au. Part I – setting the scene and Margaret River’s founding estates.